First blog of the new year! Let’s talk about some details. Okey, first blog of the year and I must admit it has been a while since I made another blog, however I deem it’s time to get back into some blogging action! Last blog I got a question about why I would be working with fluorescent proteints and an even better question what are they used for? As I explained in my comment in my first blog I will try to give you some more background information without getting to technical about the “whys” and “hows” of fluorescent proteins used in this thesis. Let’s start of with a question. What is purpose of a microscope? Plain and simple: to make the invisible, visible right? To magnify, measure and to describe samples in detail. What if I told you that we can only make the invisible, visible untill a certain point. What I mean by this is that the most fundamental limitation of microscopy resolution is light. Yes, light, the light we wake up to, the lightbulb we put on in the evening and countless other examples. The one thing that all these sources of light have in common is they are bound by the laws of optics. The wave-like character means it can only be focused to a point with dimensions of the same order of magnitude as its wavelength. In common language: on the detector of any microscope, a very small dot will appear as a spot of a few hundreds of nanometers, limiting further detail (see figure below). This concept is known as point-spreading. (If you’re interested in microscopy I suggest you can find some basic information regarding microscopy at the following site: http://zeiss-campus.magnet.fsu.edu/articles/basics/index.html). Point spreading is unavoidable and while many attempts have been made to negate its effect, the ‘secret’ to breaking this limit is not and try to prevent or avoid point spreading but to resort to the properties of ,yes you guessed it, fluorescent proteins. Fluorescent proteins or fluorophores have generally “2 states”. The excited state by absorbing light or electromagnetic radiation (on state) and the “off-state” when they are not excited. When the electrons are excited they will fall back to their ground state emitting a photon and this process is called fluorescence. Based on this process, the general idea of this superresolution microscopy is to quickly activate and deactivate them (on and off blinking) capturing up to 100,000 images in the meantime, with the intention of capturing only a single “blink” per position in each image. The random blinking on-off in this massive number of images captured allows for incredibly precise localisation of single molecules and increasing the overal resolution. 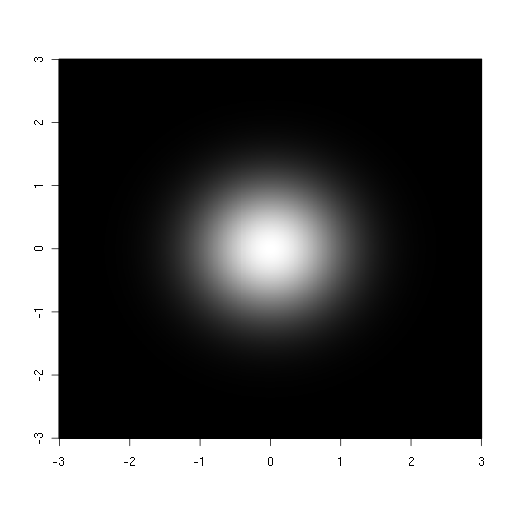 An example is the figure below. This is superresolution microscopy (with fluorophores) in a nutshell. I hope this clarified a little bit what the purpose is of making these fluoroscent proteins in my thesis. If you want any more information or got any questions regarding this topic, feel free to leave a comment! Allright I think that’s enough blogging action for today, see you readers next week! I’m maybe a little late but better now than never :). I still have a little question how do you put the light on of the fluorescence molecules? Is it like in a nightclub where they use black lights to light up all white and fluorescent colours? Or does it works like the little stars, a lot of children have on their walls or ceiling. The ones where you have to hold it a while under the lamp and when it gets dark they shine like pretty stars in the sky. To answer your question, I need to go a little deeper and more technical. The molecules get excited by light with the appriopriate wavelength (for example: light with a wavelength of 480nm) and fall back to their groundstate (in order of nanoseconds and even picoseconds). This is called: fluorescence: the excited electrons fall back by emitting photons (loss of energy). This happens so quickly, it appears fluorescence happens instantly. The toys kids have on their ceiling are based on the phenomenon phosphorescence (the (little) brother of fluorescence). Due to different mechanics the electrons are “delayed” in returning to their groundstate and give the typical glow even in the dark when they are not excited. For the on and off- blinking process, the fluorescent (not phosphorescent!) proteins used at the lab have been genetically modified so they have 2 “states”. An ON- and OFF-state. The ON-state and OFF-state are achieved by using respectively 2 different wavelengths. These different wavelengths will affect the protein itself, changing its inner structure (cis-trans configuration) creating this ON and OFF state. In the ON-state the molecule will be able to produce fluorescence, in the OFF-state obviously not. In a nutshell the fluorescent proteins can be switched on or off by light of a different wavelength in a reversible manner, creating this on and off-blinking process. I hope this clarifies your question a little. Oh okay, thanks for the explanation. It is nice to learn something new everyday :).